France and Croatia will face off in the FIFA World Cup 2018 final after both of them won their semi-finals by beating Belgium and England respectively. Both the team have their share of superstars but France are the clear favorites on paper. But having seen how Croatia came back against England and beat them in extra time, nobody will underestimate this Croatian team. Sprinkled with world class talent, this Croatian team has repeatedly shown tremendous mental fortitude and strength as they have reached the finals after three matches with extra time back to back. At the end of their game against England, it was the English who looked like they played two back to back games of 120 minutes and not the Croatians. France on paper has a clearly better team and a much better bench to choose from. France has a better goalkeeper, a better defense and a better attack. But the area where Croatia can match up to France is midfield. 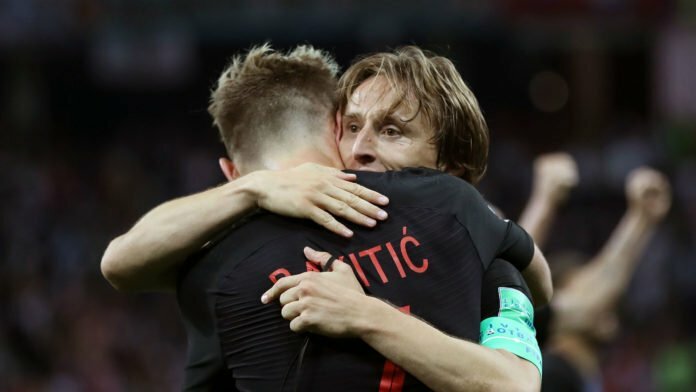 The pairing of Modric-Rakitic-Brozovic has been instrumental to Croatia’s run to the final and they will have their toughest game so far having to play against the likes of Paul Pogba, Kante and Blaise Matuidi. All the bookies have France as their favorite but if Modric and Rakitic can get the better of Pogba and Kante, then a lot of people are going to lose their money. Like most World Cup finals, this most probably will be a cagey match with France dominating the ball and Croatia sitting back so placing a bet on the match ending as a draw after 90 minutes is not a bad call at all. Kante who has been brilliant this tournament so far will have to cut off the supply to the Croatian forward from Modric and Rakitic. He has been able supported by Pogba who has shown tremendous discipline to play in a midfield two, a role he has struggled to play at Manchester United. This will be another game of hard work and graft for the likes of Modric, Rakitic and Brozovic. And if it goes to extra time again, Croatia’s three consecutive 120 minute games might have an effect on their performance. They certainly didn’t show any tiredness in the game against England but another 120 minute game is bound to impact their performance in the latter stages of the game.